Today, we bring few fashion trends only for men because its time for them to update their wardrobe. We give you five exclusive easy-to-follow fashion tips that will be trending this season just like -you can go for layering and prints and checks to be in vogue during the winter season this year. Read on to know more such tips! The classic trench coat for all -Trench coat is one of men’s staple jackets during fall/winter and is undeniably versatile in nature. Beige and light brown shades are the best ones to own. For a formal look, pair your narrow pants with a blue shirt underneath and black Oxfords. On the other hand, get your basic white tee, some ripped denims, sneakers rounded with a printed or checkered scarf for an ideal casual fall look. 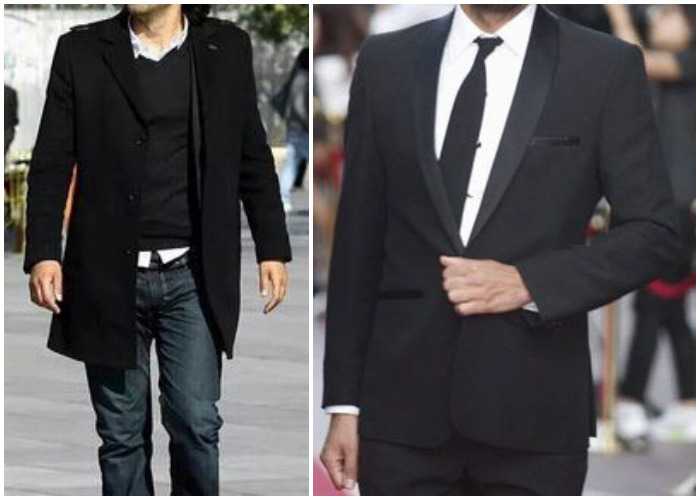 Layering your clothes is an art -For a formal setting, pair your crew neck T-shirt under your formal blazer and pull off an overcoat on the outside. The best part about layering is to achieve a look that gives you the flexibility and adaptability to change according to the weather. You can also consider wearing toque caps if it’s too cold outside. Get back to corduroys -Bored of denims? Then swap your regular denims with corduroy pants full of colours -maroon, yellow, or even orange paired with denim shirts or blue blazers and leather boots. This old school style can be doubled up with a matching corduroy jacket and a printed tee. One can never go wrong with hoodies -One can consider a pullover hoodie mixed and matched with white washed jeans and it’s all done. To add an ounce of style statement, throw a zipper jacket over a hoodie and pull back the hoodie outside, grab your duffle bag and there you are, rocking the streets as a fashion star. Floral leather jacket is totally in -Leather jackets with floral prints is a must have this fall, besides going for an all check patterned look from head to toe. A windowpane checkered double breasted suit in navy blue and brown lace ups is a great combination for those brunch meetings.